To volunteer as coach, assistant coach or team manager for your daughter’s team, please sign up using your NGS Blue Sombrero account. Interested in volunteering in other ways? 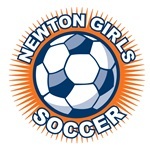 Please email registrar (at) newtongirlssoccer.org and we’ll try to match you up with one of the best volunteer jobs you’ll ever love. Dedicate themselves to equitably serving all NGS players, from kindergarten to high school, from most casual player to girls who may someday play in college. Understand that the lasting benefits most girls will get out of their soccer experience will be friendships, life lessons and good health, not trophies or medals. Appreciate that NGS occupies a special place not only in our city but in the world of youth soccer, as one of the only programs focusing exclusively on the needs of girls. There’s a volunteer job for virtually every skill set and schedule, including: Equipment & Goals, Fields, Merchandise, Clerk, President, Treasurer, Uniforms, Volunteer Coordinator, Webmaster and age group coordinators for our Travel, Intramural and Juniors programs. Or if you’d rather volunteer for with specific tasks or events and not make a longer-term commitment, you can help that way too.